The Samitivej Smart Joint Center is a specialized unit for bone and joint health. Our team of highly skilled physicians is ready to provide osteoarthritis patients with comprehensive care, from initial diagnosis through to pharmaceutical treatment and physical therapy. Joint replacement surgery is also our forte. What are possible symptoms of degenerative joint disease (osteoarthritis)? Joint pain, especially with movement. 5. Surgical complications: septic and aseptic loosening of artificial joints, bone loss after joint replacement, stiffness after total knee replacement, periprosthetic fracture, prosthetic joint infection, etc. History of joint injuries, Such as joint dislocation and joint fractures. Why Samitivej​ Smart Joint Center? Safety: The safest medical care. Advance: Advanced medical technology and equipment, ready to face any level of complication. Rahabitation: Joint and muscle rehabilitation is the key to the best possible outcome. Total Joint Care: Total Joint Care, from education and lifestyle modification to pharmaceutical and non-pharmaceutical treatment. When should you have joint replacement surgery? Joint replacement surgery is a highly effective treatment for patients with symptoms of advanced osteoarthritis, such as severe joint pain, joint deformity, stiffness and reduced movement or patients whose quality of life is greatly affected by osteoarthritis. 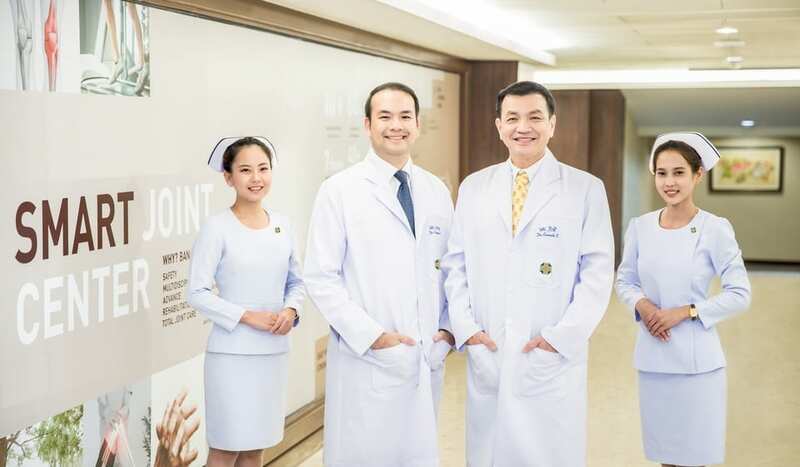 Samitivej​ Hospital China Town’s Samitivej Smart Joint Center is staffed with surgeons who are highly experienced and skilled in joint replacement surgery. We are well-equipped with technologically advanced surgical equipment for knee, hip, shoulder and elbow replacement surgery and we have the capability to handle any post-joint replacement complications.